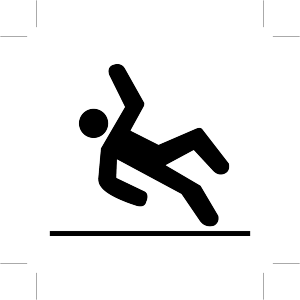 Do I ONLY Have A Workers’ Compensation Claim? You suffered an injury at work and have an Alabama workers’ compensation claim. Is that your only claim? Did someone (other than your employer) negligently cause the injury? If so, you might have both a workers’ compensation claim against your employer and a personal injury claim against the negligent third-party. It’s an important issue. Why? Although workers’ compensation provides important benefits, those benefits are limited. Workers’ compensation benefits do not cover all your potential damages. Although third-party cases allow you to claim all your damages, they may be completely disputed. These are important issues to many of my injured clients. They are issues I’ve discussed on my law firm website. And, they are issues we often handle to help our injured clients. A recent legal article in Illinois discusses a case in that state. What happened? In that case, an electrician was installing lighting on an apartment balcony. Suddenly, the balcony railing failed. The electrician fell to his death. Afterwards, an investigation revealed a different company (NOT the electrician’s employer) had negligently installed the railing. The electrician’s family had a claim for death benefits under workers’ compensation laws in Illinois. The family also had a third-party negligence claim for wrongful death against the separate company that installed the railing. Hire A Lawyer Who Handles Both Worker’s Compensation And Third-Party Injury Claims. This has become a big issue. Some lawyers only want the workers’ compensation portion of your case. Yet, other lawyers only want the negligence portion. Those lawyers are acting in their self-interest, not yours. You pay the price in several ways with separate lawyers for each part of the claim. First, this can result in higher legal fees considering the overall net recovery. If your two separate lawyers are not working together, it can also create higher case expenses. And, one claim may be neglected which results in a lower net recovery to you. That’s why we advocate for clients to have a primary counsel involved in both claims. We believe this can greatly increase your net recovery in many cases. Hire A Lawyer Who Investigates And Develops His Or Her Cases. Many workers’ compensation claims involve potential third-party cases. But, the lazy lawyer who simply wants a quick settlement will never explore them. Many potential claims are never reviewed or pursued. Your lawyer should look under every rock to develop all the facts and explore all the potential liability. Hire A Lawyer With Real Trial Experience In Both Claims. Your lawyer needs to understand trials. He or she needs to understand trials of both workers’ compensation claims and negligence claims. The trials are different. In Alabama workers’ compensation trials, the judge decides the facts. They are what we call “bench” trials. Yet, in third-party negligence cases, you typically have a right to a jury trial. Judge versus jury for your fact-finder. That makes a huge difference in the course of the trial and how you present the case. Moreover, the issues for trial in the claims are different. Your lawyer needs practical experience in the trial of both types of claims. If you are hurt at work, you need a lawyer with experience preparing both workers’ compensation and third-party cases. You don’t need a lawyer who will handle one but ignore the other. You don’t need separate lawyers for each creating potential conflicts, additional costs or inefficient recoveries.